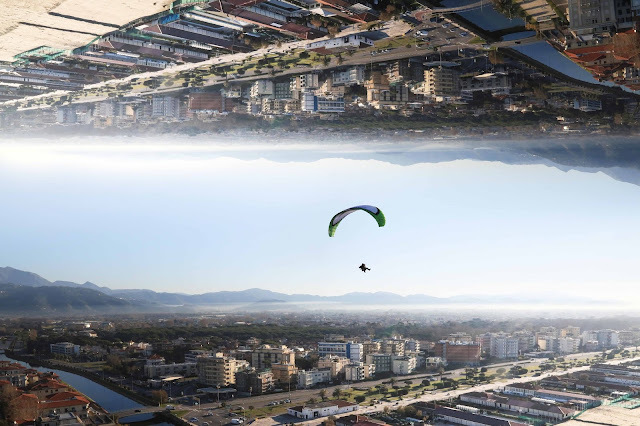 Inversion - Flying above Viareggio on a beautiful day is like eating cake ! A real pleasure. To one side there are the snow tipped mountains and to the other the sea. In between is the densely urbanised town of Viareggio. Being a popular summer holiday destination the town grown considerably during the summer months. In winter however the beaches and seafront roads are deserted. Image created by copying and inverting the landscape part of the photo.